The TouchPanel Controller PROTO Board features a 4-wire resistive analog touch panel controller. 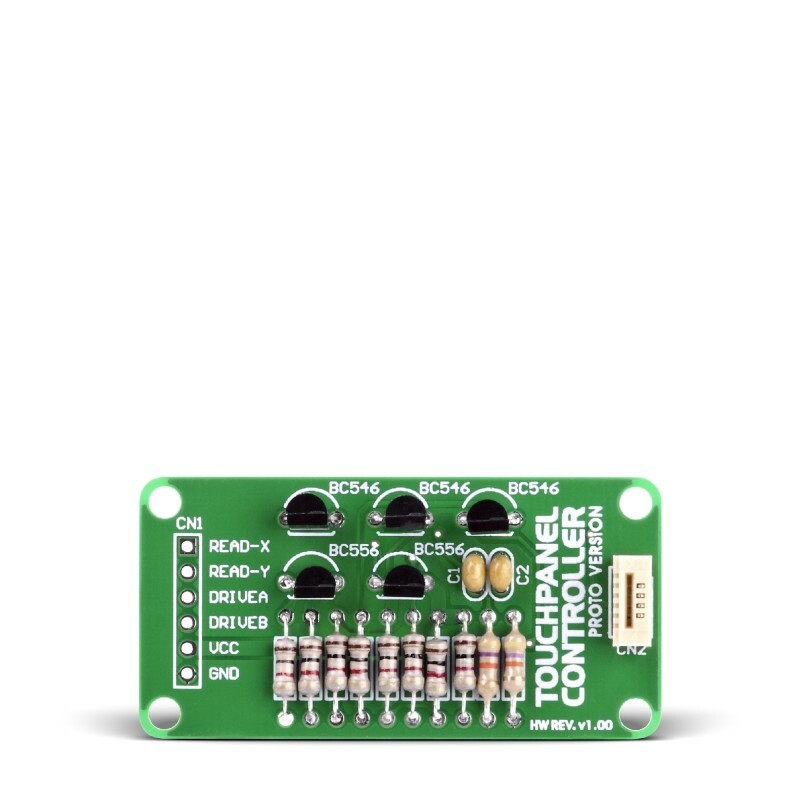 When two resistive foils of a touch panel are connected, this controller creates output voltage levels which can be decoded to get precise x- and y- coordinates of the pressure point. 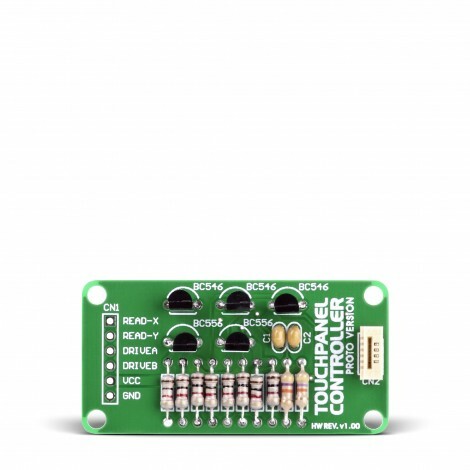 Board features connector for a 4-wire touch panel flat cable, and soldering pads for interfacing with prototyping boards.